Custom scales Freak for Benchmade Freek 590The material is G10, Carbonfiberone ..
Custome scales, handles SLIM, for Benchmade Griptilian knife.. Custom Scale ART for Knife Benchmade GriptilianCarbonfiber Scales and G10 SpacerThe 2017 .. 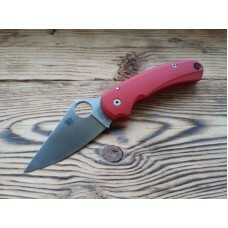 Custom Scale Elegant for Knife Benchmade Boost 590Red Twill - This is a hybrid carbon. He repea.. Custom Scale Elegant for Knife Benchmade Boost 590The 2018 model.Very comfortable and stylish s.. Custom Scale Elegant - Line for Knife Benchmade Boost 590Linear Carbon - This is a 100% carbon .. Custom Scale Elegant - Line for Knife Benchmade Boost 590The 2018 model.Very comfortable and st..